As they keep trekking through the Big Pile, Murphy demands an intervention and… he’s not wrong. They all gather in a caravan to demand some answers from Warren and while Murphy is demanding, Doc is wise and sensible: because she is making decisions for all of them. Warren describes her visions and the certainty she feels in her gut -but it’s not really enough to convince people. Even with 10k having more of a beef with Murphy and no issues with Warren, 1 by 1 the others all vote for Newmerica. So does Warren, accepting she can’t possibly expect the others to come with her based on so little. 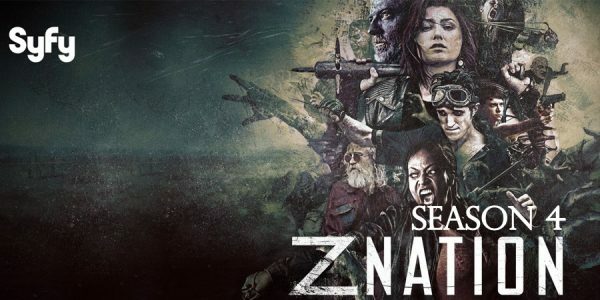 Again, I have to say how much more mature Z Nation is this season. This whole scene, despite the content and the doubt, was so careful and gently handled even with little snipes and 10k popping in from the roof. And I love the little nuanced moments - like Lilley at the end there, even with what Warren confessed and her being outvoted, Lilley was still showing her deep respect and deference, it was clear that this did not undermine Warren, not her visions or her being outvoted. And the fact Warren didn’t get angry or demand everyone believe her, she respected the others enough to know she isn’t being credible. Back moving the find a heavily armed zombie literally weighed down with weapons so everyone helps themselves (Murphy gets a sword cane). It’s actually booby trapped which Lilley disarms - despite Warren telling her to get to cover. I think I like this as well, sure Lilley didn’t obey but I like that she isn’t just obedient - and she knows her own skills. Murphy also annoys Lucy again by suggesting mercying a zombie. He does have a chance to test his new sword cane on an apparent immortal zombie, carving it up neatly…. So either this sword is special woo-woo beyond-razor sharp or it’s Z Nation silliness poking through. I suspect the latter. If there’s one problem with this more mature season it’s that it can be even harder to fit the silliness in among it. Who is setting up these elaborate zombie grenade traps?! And why? She leads them to the tower and describes how its in her visions. There they also get a radio message from Kaya and her baby - she’s looking for Citizen Z, reminding us they’re both out there still. With the vision antenna and a clear highway heading east, Warren is clear -she’s going East. But she doesn’t expect them to follow her, she expects them to go to Newmerica. Of course they decide to follow her - even Murphy agreeing to “throw a little faith your way”. For now. And yes I believe it - because she’s Warren and they all need her, they need to follow her. They just needed her to give them enough to believe in her visions. And maybe it isn’t literally enough to make a reasonable decision, but it’s enough of an excuse to keep following her.